The Duchess of Carnegie Hall—it was a term legendary New York Times fashion photographer Bill Cunningham dubbed his friend, muse, and neighbor, fellow photographer Editta Sherman. Sherman, who resided at the Carnegie Hall Artist Studios for more than 60 years, made a name for herself as one of the first female photographers post-WWII, well known for her use of velvety Gavelux paper. A collection of some 60 of her portraits are now on display as part of the exhibition The Duchess of Carnegie Hall: Photographs by Editta Sherman, in the New-York Historical Society's new Center for Women's History. 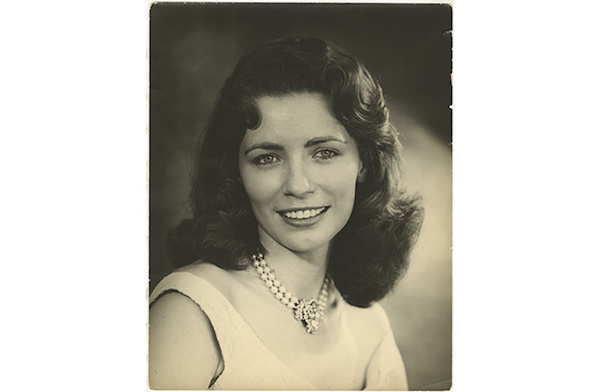 June Carter Cash portrait by Editta Sherman. The wide swath of photographed talent on display spans decades, from actors Boris Karloff, Henry Fonda, Tyrone Power, Lillian Gish, Angela Lansbury, and Christopher Plummer to playwright Lillian Hellman (Little Foxes), baseball player Joe DiMaggio, authors Betty Smith (A Tree Grows in Brooklyn) and Pearl Buck (The Good Earth), poet Carl Sandburg, mime Marcel Marceau, '60s supermodel Veruschka, singer June Carter Cash, and, more recently, actress Tilda Swinton. Sherman's is a true New York success story. Born in Philadelphia to Italian immigrant parents, she learned to take photos watching her father. As a teen, she began photographing babies for $75 a week. After she married sound engineer Harold Sherman, the pair raised a quickly growing brood in Martha's Vineyard, and in 1944 Sherman opened a studio out there. She slowly gathered clients, including writers Max Eastman and playwright W. Somerset Maugham. Using her father's camera, she developed a warm rapport with many of her subjects that's evident in her photos, evoking reflections of the artist's true personality. "They didn't sit for her, they sat with her," says curator Marilyn Kushner. Rather than chronologically, the exhibit is organized by subjects—Culture, Media, Politics; Art & Literature; Performing Arts; and Music. 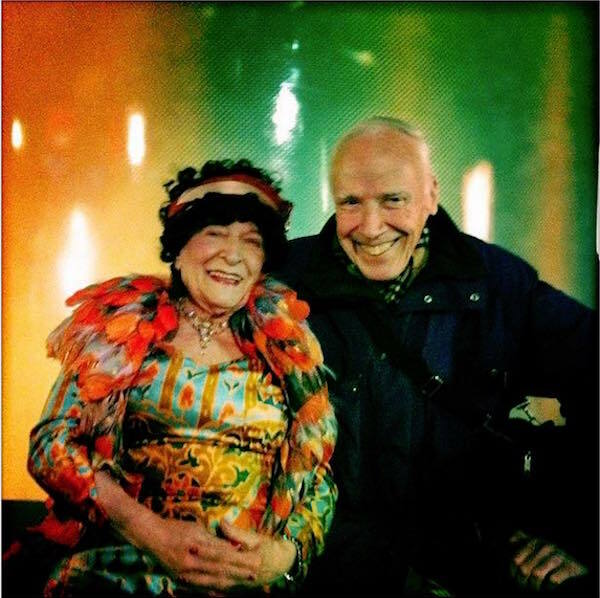 Lifelong friends, mentors, neighbors: Editta Sherman and Bill Cunningham. Photo: Andrew Brucker. After Cunningham moved into the Carnegie Hall Artist Studios alongside widowed Sherman, the two become fast friends. Sherman loved how the studio was flooded with natural light. Cunningham shot Sherman for Life magazine, dressed in her ballet outfit, an homage to her larger-than-life personality. He later collaborated with Sherman on a project called Facades, exploring NYC architecture and landmarks. 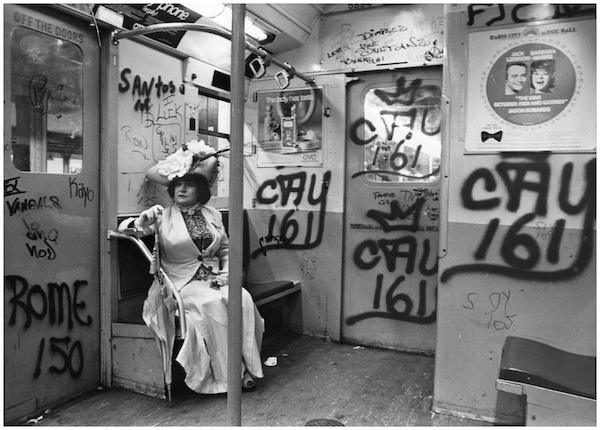 He gifted a photo he'd taken of Sherman in this series, dressed up in a subway car heading to the Brookyn Botanic Garden, to the New-York Historical Society. Editta Sherman, photographed by Bill Cunningham, a photo he gifted to the New-York Historical Society. The exhibit also includes a documentary on Sherman shot by friend and neighbor Josef Astor, excerpted from his film Lost Bohemia, that chronicled their eviction struggles at Carnegie Hall. Sherman was eventually forced out and moved to an apartment on Central Park South. Sherman continued working and lived to the ripe old age of 101, passing in 2013. The Duchess of Carnegie Hall: Photographs by Editta Sherman, is on display through Oct. 15. For more information, visit nyhistory.org.